Adam joined Watsi on December 30th, 2014. Four years ago, Adam became the 776th member to automatically support a new Watsi patient every month. Since then, 4,330 more people have become monthly donors! Adam's most recent donation traveled 8,300 miles to support Kyaw, a man from Burma, to fund an amputation. Adam has funded healthcare for 51 patients in 12 countries. Kyaw is a man from Burma. He has gangrene in his right foot. Currently, the toes on Kyaw’s right foot are painful, especially early in the morning. When he is in pain, Kyaw is unable to sleep. He is only able to walk a little bit. Kyaw is scheduled to undergo an amputation to treat the condition on March 26. He needs help raising $1,500 to fund this procedure. Kyaw said, “I will be happy if there is a donor to help me receive treatment." George is a young man from Kenya. He works as a mason. A few days ago, George was hit by a speeding vehicle. He sustained fractures on his legs. He is not able to walk and experiences chronic pain. Fortunately, surgeons at our medical partner can help. On February 15, George will undergo a fracture repair procedure, called an open reduction and internal fixation. He will be able to walk and work again. Now, our medical partner, African Mission Healthcare Foundation, is requesting $1,451 to fund this procedure. “I have nobody to seek help from. Please help us if you can,” says George. Nephtalie is a student from Haiti. She lives with her mother and younger sister in a neighborhood of Port-au-Prince. She enjoys going to school and attending church. Nephtalie has a cardiac condition called rheumatic mitral stenosis. One of the four valves of her heart is too tight and narrow as a result of a fever suffered earlier in her childhood. Blood backs up behind the valve, leading to heart failure. Nephtalie will fly to India to receive treatment. On February 25, she will undergo cardiac surgery, during which Surgeons will first attempt to open the valve by inserting a catheter and expanding a balloon. If this is not successful, they will immediately proceed to open-heart surgery to open the valve. Our medical partner, Haiti Cardiac Alliance, is contributing $5,000 to pay for surgery. Nephtalie's family also needs help to fund the costs of surgery prep. The $1,500 bill covers labs, medicines, and checkup and followup appointments. It also supports passport obtainment and the social workers from our medical partner, Haiti Cardiac Alliance, who will accompany Nephtalie's family overseas. She says, "I am very happy to have this surgery so I can be healthy and stop worrying about my health." 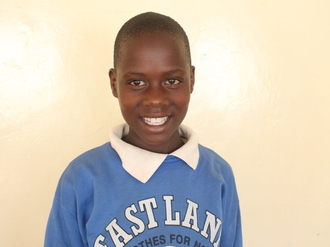 Meet Priscilla, a six-year-old girl from Miani village in Kenya. Priscilla is the fifth born in a family of seven children. She recently joined nursery school. Priscilla has a condition called bilateral genu varus, which means her legs bow outwards. As she grows, this is affecting her ability to walk. Priscilla needs to undergo surgery, which will help realign her bones and improve her walking. Surgery is scheduled for November 11 and will cost $1,165. 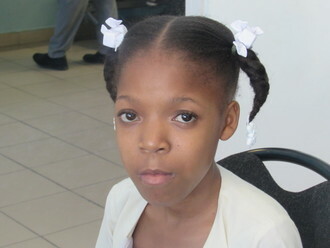 Her father says, "I will appreciate if Watsi can help my daughter go for surgery." Myint is a 29-year-old healthcare worker from Hlaingbwe Township, Karen State, Burma. 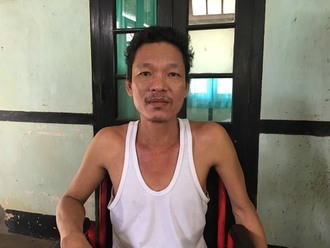 Myint was diagnosed with urinary and kidney stones in late 2017. In early 2018, Myint underwent laser treatments at the hospital for his urinary stone and kidney stone. About a month ago, he had back pain and he visited the clinic. A medic did an ultrasound and found another stone in his bladder. Now, Myint is scheduled to undergo surgery to remove the stone on September 12. He needs help raising $1,500 to fund this surgery. He says, "I was worried because I don't know what was going on. Now, I feel relieved that the stone will be removed. I am very grateful to all the donors who make this treatment possible for me." Aung Tin is a 13-year-old boy from Thailand. He lives with his parents and three younger sisters. In his free time, he likes to read books. He also likes to pretend that he is a teacher, imagining that the trees in his garden are his students. He has cataract in his left eye and he has gradually lost sight in that eye since 2016. Our medical partner, Burma Children Medical Fund, is requesting $1,500 to fund lens replacement surgery for Aung Tin. On August 28, doctors will perform a lens replacement, during which they will remove Aung Tin's natural lens and replace it with an intraocular lens implant in that eye. After recovery, he will be able to see clearly. Now, he needs help to fund this $1,500 procedure. “I want to be a doctor when I grow up and I want to help the poor,” said Aung Tin. Lebahati is a 16-year-old from Tanzania. He is the third child in a family of seven. He loves playing football. After Lebahati was born, he began to experience unpleasant symptoms. The family walked a long distance to visit the hospital, where he was diagnosed with a bowel malformation. The family learned that he would need to undergo several procedures to correct the condition. Lebahati's father borrowed money from friends to pay for the first procedure, but his parents were unable to raise enough money to pay for further treatment. Fortunately, the family learned about our medical partner's care center and came seeking help. Now, Lebahati is scheduled to undergo another corrective surgery on July 11. This treatment will cost $1,500, and his family needs help raising these funds. He says, "Help me because I also want to go to school too." Anne is a woman from Haiti. She lives in Port-au-Prince with her husband. She works as a clerk in a cell phone shop. Anne has a cardiac condition called patent ductus arteriosus, in which a hole between a major artery and vein near the heart remains open, instead of closing shortly after birth as is normally the case. Blood leaks through this hole, leaving her sickly and weak. Fortunately, Anne will undergo interventional heart catheterization on May 24. During the procedure, a device at the end of a catheter will be used to plug the hole so that it can no longer leak. 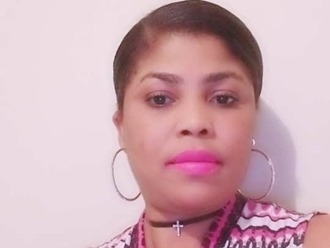 Our medical partner, Haiti Cardiac Alliance, is asking for $1,500 to cover the costs of Anne's travel expenses, catheterization procedure, and lab work. She says, "I am so glad that God found a way forward for my heart to be fixed!" Esther is a farmer from Kenya. She has three children. Seven years ago, Esther started experiencing troubling gynecological symptoms. The symptoms became worse in 2017. She has been diagnosed with adenomyosis. She needs to undergo a hysterectomy, a procedure in which surgeons will remove her uterus. Our medical partner, African Mission Healthcare Foundation, is requesting $718 to fund Esther's surgery. On April 25, she will undergo gynecological surgery at our medical partner's care center. Once recovered, Esther will be able to resume her daily activities free of pain. “I have no one to look upon and I wish to be well and care for my children. I am their only hope and can’t wait to see myself strong again,” says Esther.